Fr. 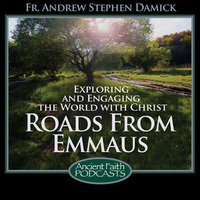 Andrew Stephen Damick journeys into the hollers of central Appalachia and encounters one of the least-known forms of American Protestant religion, exploring their faith, their music and one of their churches, through the eyes of an Orthodox priest raised in that tradition. In this episode, Fr. John interviews Fr. Jason Foster, pastor of Holy Nativity Orthodox Mission in Shreveport, LA. Fr. Jason is doing amazing and catalytic missionary work in Louisiana. Fr. Andrew Stephen Damick shares his hopes for the future of the Antiochian Archdiocese and Orthodoxy in America. The text version of this commentary can be found here.